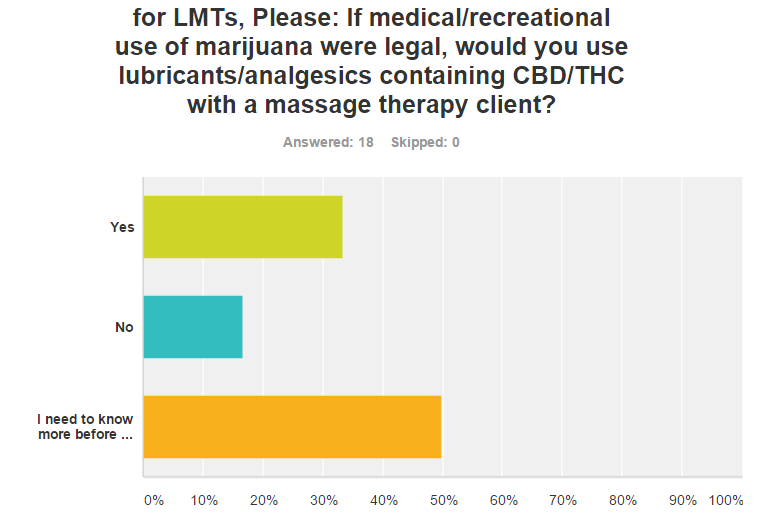 Medical Marijuana and Massage Therapy…Are We Ready? Unless you have been hiding in a mine shaft for the last year, you have probably heard that medical marijuana is a hot topic in Nevada. In November 2014, Dispensary Applicants are expected to be issued their business licenses. Well, the “what” is this: as a complementary and alternative wellness practitioner, you may very well be asked about the use of medical marijuana for pain and stress relief. What do you say? What is your personal opinion? 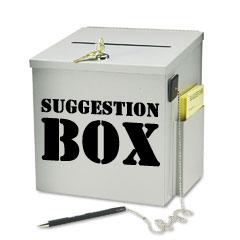 And, moreover: what is your professional opinion? What would you say if a client asked you to use an “infused oil” on them? Are you aware of what infused products are (their content, MSDS requirements, prescription viability)…? Do you know the risks/benefits of using THC or marijuana for medical purposes…? Is it in a massage therapist’s Scope of Practice to use it? These are some of the questions the Government Relations committee has brought to your Chapter’s attention and is looking into answering from a more-informed position. In short, marijuana has two primary substances in it: THC (Tetrahydrocannabinol) and CBD (Cannabidiol). THC has mind-altering and anti-nausea effects, while CBD is the pain-relieving, anti-seizure substance. Traditionally, the different strains of marijuana plants have had different mixtures of these two components. With selective breeding and hybrids, they now have strains of marijuana with only trace amounts of THC and high amounts of CBD. Part of the “science” of medical marijuana is finding the right strain for the client and their symptoms, then finding the correct dosage. 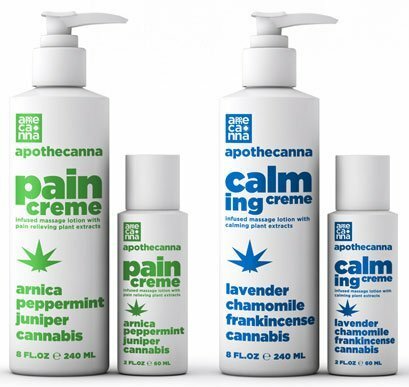 Correct dosing is where infused products come into play: the THC and CBD oils are taken out of the plants, much like an essential oil would be; the oil can then be put on or in a food, or it can be placed in massage oil for topical application. The dosages of THC and CBD can be controlled better with infused products that are ingested or absorbed rather than by smoking (inhaling) it…at least that is how some think. The infused products have received some bad press due to their potency. The thing to remember is, like anything, people tend to become resistant to THC or CBD over time. So: infused products came about for two reasons, first to make something strong enough to work on the worst cancer patients, and so a person can medicate without smoking pot at work. There are some upcoming events in Nevada that may be helpful to get more information. The LVMMA’s Medical Marijuana Oktoberfest happens on October 16th and 3rd-annual Marijuana Business Conference & Expo on November 11th at the Rio Hotel in Las Vegas. We have been told that there will be massage therapists from Colorado attending.